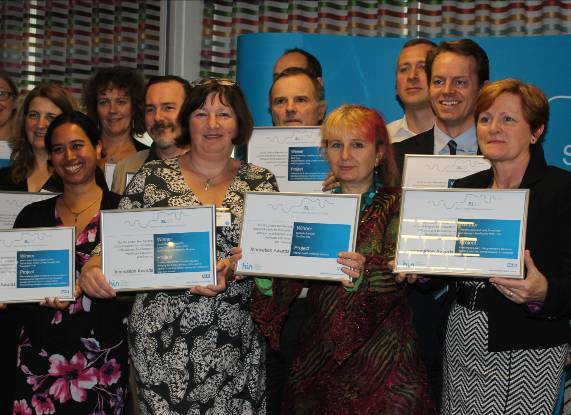 Created by the South London Membership Council, the Innovation, Diffusion and Excellence in Healthcare Education and Training awards celebrate innovation and educational excellence. As winners of the award for contributing to the local community, CoolTan Arts received a £50,000 prize, which will be re-invested to improve patient care by developing more Mental Wellbeing Advisers to enable people to stay well and participate in their own recovery. These advisers will visit GP surgeries, community settings, workplaces and educational settings by looking for referral and self-referrals. They will then put together an action plan with the person that supports their wellbeing and resilience. This innovative psychosocial approach will include debt advice and help in the workplace for people who do not need drugs or counselling. Other awards included ‘Outstanding Contribution to the Local Community’, ‘Best Learning and Development Strategy’, and ‘Best Healthcare Education Learning and Training Programme’. The judging panel was made up of board members from the South London Membership Council, Health Education South London and South London Academic Health Science.